Posted on Thu, Feb 23, 2012 : 5:56 a.m.
"Tangled," the Walt Disney's animated feature film, will be shown at the downtown Ypsilanti District LIbrary Thursday afternoon. The Gratitude Steel Band will be at the Ann Arbor District Library this afternoon. 2 to 2:45 p.m. Enjoy the steel drum sound in an interactive musical event featuring favorite songs from around the world. They create different musical adventures with fun, action and audience participation. Free. The AADL is at 343 S. Fifth Ave., Ann Arbor. 734-327-4200. The Michigan Theater will give you the opportunity to see the Oscar-nominated film shorts. Documentaries at 4:30 p.m. Animated at 7:15 p.m. Live action at 9:30 p.m. Film lovers will want to be sure to take this opportunity to see the 2012 Oscar-nominated short films. $10/ General; $8/ Students, veterans and senior citizens (over 55). The Michigan is at 603 E. Liberty St., Ann Arbor. 734-668-8463. The "Zell Visiting Writers Series" will feature a poetry reading with Suzanne Buffam and Robert Fernandez at the University of Michigan Museum of Art. 5:10 p.m. Buffam is the author of two collections of poetry. One was shortlisted for the 2011 Griffin Poetry Prize, and the other won the Gerald Lampert Award. Fernandez was recently named a New American Poet by the Poetry Society of America. Free. In Helmut Stern Auditorium at 525 S. State St., Ann Arbor. 734-763-UMMA. Give the kids something to do at the "Mid-Winter Break Movies" at the Ypsilanti District Library. 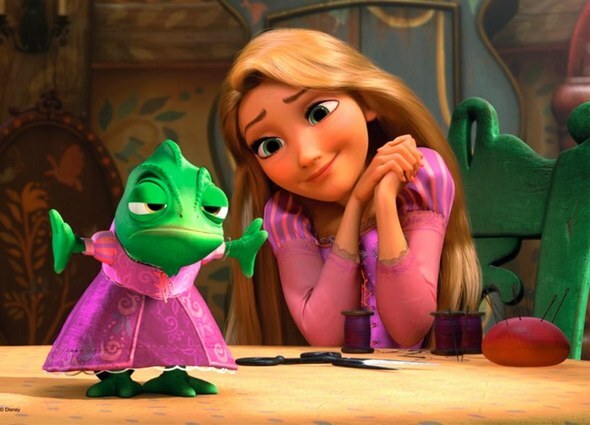 2 p.m. Today: "Tangled." Tomorrow: "Despicable Me." Both films are rated PG. Buttered popcorn will be offered. Free. The YDL is at 229 W. Michigan Ave., Ypsilanti. 734-482-4110.